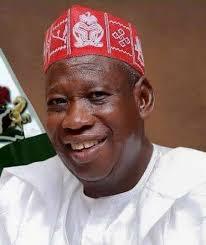 Governor Dr. Abdullahi Umar Ganduje of Kano state has signed into law the 2016 appropriation bill passed by the state assembly, with the health sector getting N13.7 billion. The governor had earlier presented the proposed budget of N274 billion to the state House of Assembly, out of which N13.7 billion which is only 4.9% of the total budget expenditure was allocated to the health sector. Signing the budget into law at the Government House, Governor Ganduje said the budget came at a trying period of Governance, adding that his administration will immediately start implementing the budget which has 70% capital expenditure. Speaking to newsmen after he appeared at the State House of Assembly to depend his Ministry’s budget, the Commissioner for Health, Dr Kabiru Getso indicated that the amount allocated to the sector has tripled previous budget of the ministry. Dr. Getso said, the ministry will execute a lot of health programmes and projects that would have impact on the health status of people in the state.